There are many reasons why someone would buy into a franchise business. The notion of becoming your own boss is probably something most workers dream of at one time or another. Although being the boss has its perks, eventually you still have to run the business. That means you should pick a franchise you can be passionate about. For Junk King Albany owner Todd Porter, that passion was easy to find with Junk King. Helping folks clear out the clutter matters to Todd but going green is an even bigger motivator for this former law office work. The benefit with hiring Todd and his Junk King crew is that you won’t have to do any of that recycling sorting of your discarded items. 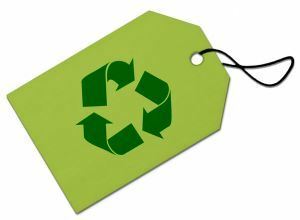 The team from Junk King knows just which items can benefit a charity and which would be better repurposed by being ground up into raw material. This might mean making extra drop offs to those designated sites but that is all part of the junk removal package. When you want dependable and green junk removal, Todd and the team from Junk King Albany are the way to go. This entry was posted in junk removal and tagged green, Junk King Albany, junk removal on March 25, 2016 by Todd Porter. Last updated August 16, 2017 .